The lost history of a sacred Scottish “healing island” has revealed its holy secrets in the skeletal dna of sick children, archaeologists in Edinburgh have announced. This string of majestical islands in Scotland’s Firth of Forth have been in habited since the Bronze Age and have a rich tradition of “healing,” incorporating “plague-carrying bodies” on Inchkeith. 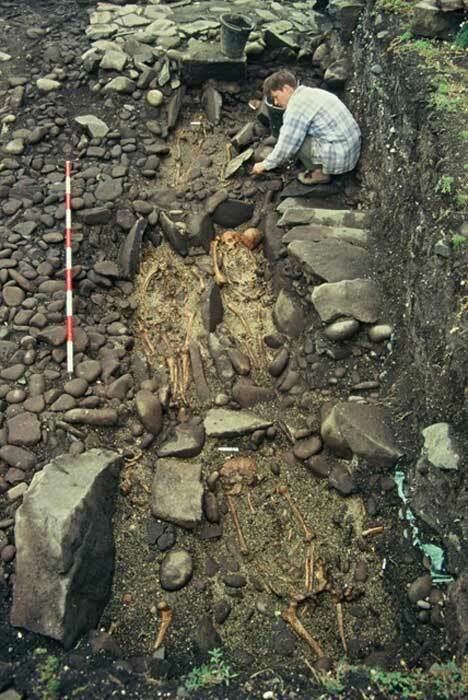 But now, the Benedictine monastery on the Isle of May has been explored by archaeologist Marlo Willows of the University of Edinburgh, who “discovered syphilitic children suggesting the island was a medieval center of medicine and healing,” according to an article in the Herald. The new findings suggest people sailed here from all over Scotland “seeking wisdom from the monks who called it home and also the hope of divine intervention - either in this life or the next” said the archaeologist. 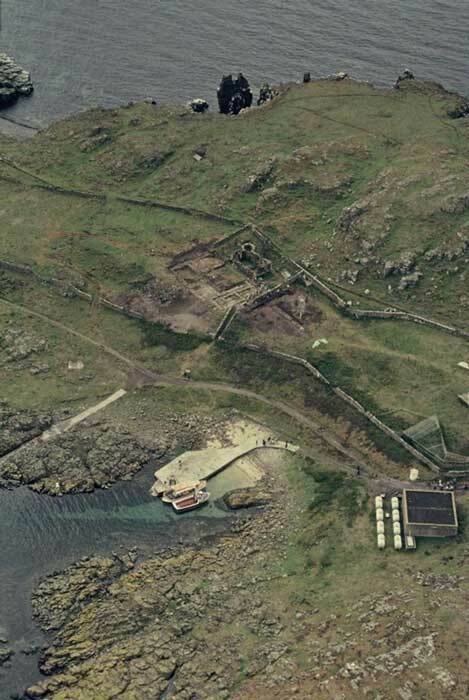 For over a millennium, the monastery on the Isle of May was associated with an early Christian evangelist “Ethernan,” who was believed to have been buried there “while ministering to the Picts who once called Fife their home,” said Willows. What’s more, “another skeleton of a teenage boy was laced with signs of congenital syphilis,” which would have been “very painful" added Yeoman. "We can only speculate, but there's something going on. These were very, very sick people - so were they going out there to be healed?” asked the archaeologist. Subjective evidence suggests this is exactly what was “going on” as traces of medicinal plants have been found on May “including greater celadine which is used to treat pain and disease, and henbane - used as anaesthetic,” the archaeologists reported. Although Geller failed to locate the “treasure of Egyptian princess,” this story just goes to show how a belief, no matter how wild, can have a direct effect in the real world and lead one to action. In this case, the effect ended at Gellers bank account, but a thousand years ago, believing May could heal one’s sick child, folk would have sailed the seven seas to get there for some of its perceived “healing energies” and hands on medical work. Archaeologists on the Isle of May now suspect “the monks of May used their “herb lore to treat the sick and dying" who they suspect “pilgrimaged to the island in hope of a miracle cure or simple care in their dying days.” It would appear the island’s majestical setting, medical and holy environment, have always made it a place where the veil between this world and the others, was perceived as being just that bit thinner. 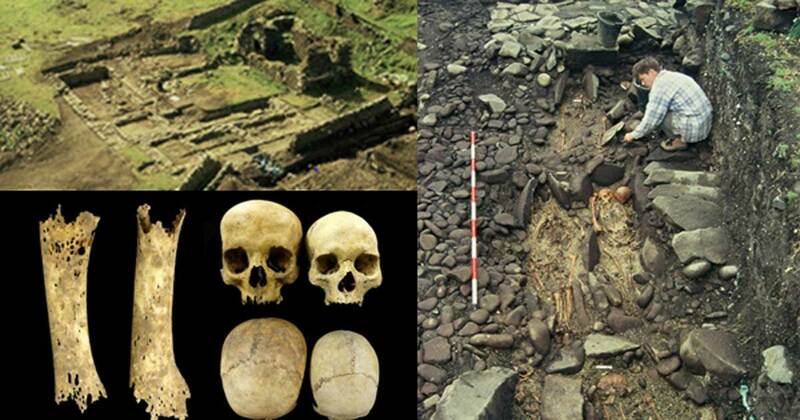 Top image: Isle of May monastery ruins ( Peter Yeoman ) top left; Skeletal remains on May ( Peter Yeoman/ British Archaeology Magazine ); The foot bones of a teenager with syphilis (left). An enlarged skull, possibly due to hydrocephaly (right). (Images: Marlo Willows/ British Archaeology ) bottom left.